A set of 10 stunning recipe cards, with intricate hand-pressed foil detail, ideal for posh-nosh! 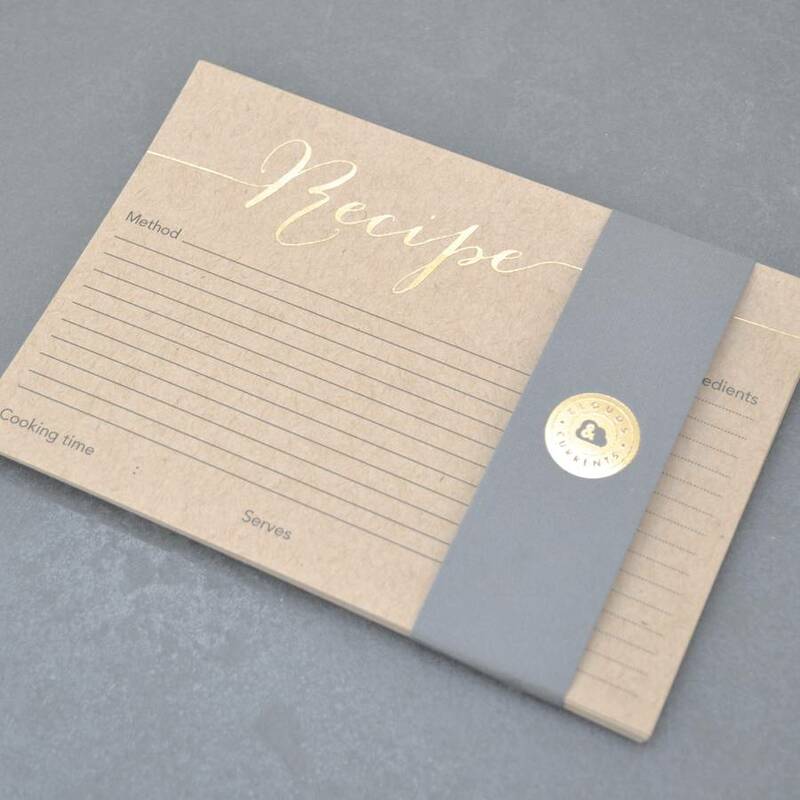 Whether to outline the intricacies of your casserole, or simply to remind you to put extra salt on the roast potatoes before they enter the oven, each recipe card affords the perfect space to inspire. 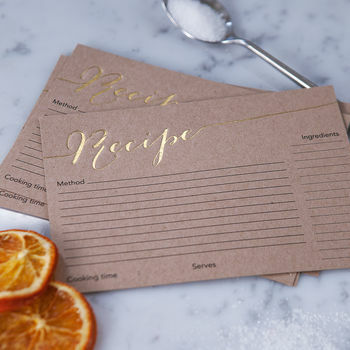 With distinct sections for scribing 'Method' and 'Ingredients', as well as a handy reminder detailing the amount of time each dish takes to create, these cards are an essential part of your culinary prowess. Be sure to view our Personlised Wooden Recipe Box, the perfect accompanient to our recipe cards, and our other handmade and bespoke gifts, by following the Clouds and Currents link, or 'see seller's complete range' link, both on this page. Other homeware and culinary items, such as baker's twine, can be purchased separately. 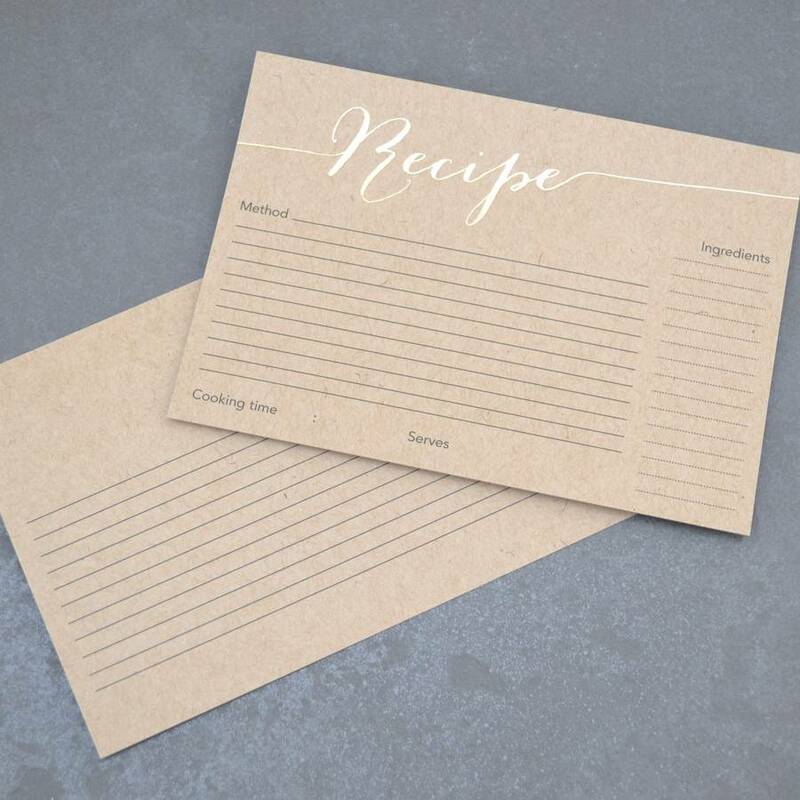 Each recipe card is created using Top-Grade Kraft card, and hand finished with foil design.